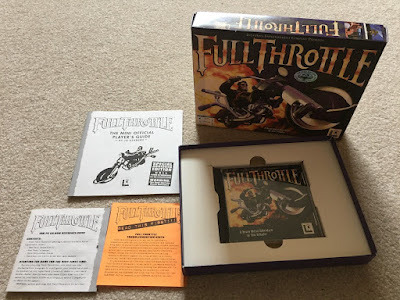 One of Lucasarts' most successful adventure games ever, Full Throttle is a short, sweet, brilliantly written, and very beautiful adventure game. You can bid on a complete boxed version of the thing --complete with the Adventurer magazine, and Player's Guide via this Full Throttle (PC) eBay auction. Seller ships only to Germany. 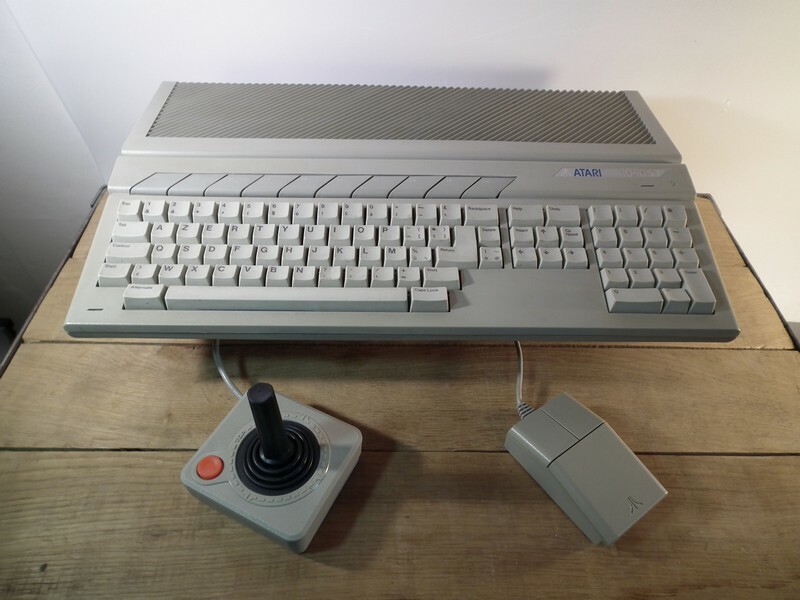 The Atari 1040 STe, the substantially improved version of the classic 520 ST/STfm 16-bit micros featuring 1MB of RAM, and advanced graphics & sound chips was one of the home computers that defined the late '80s and early '90s. Handily, it remains a joy to use, and offers a vast selection of games and other software. 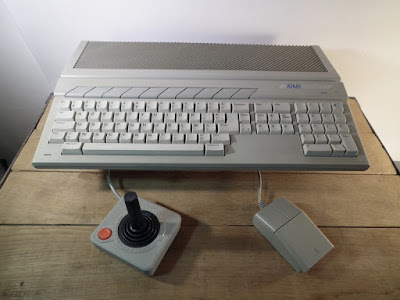 Also, this is a very cool Atari 1040 STe eBay auction for a working machine complete with cables, mouse and joystick. 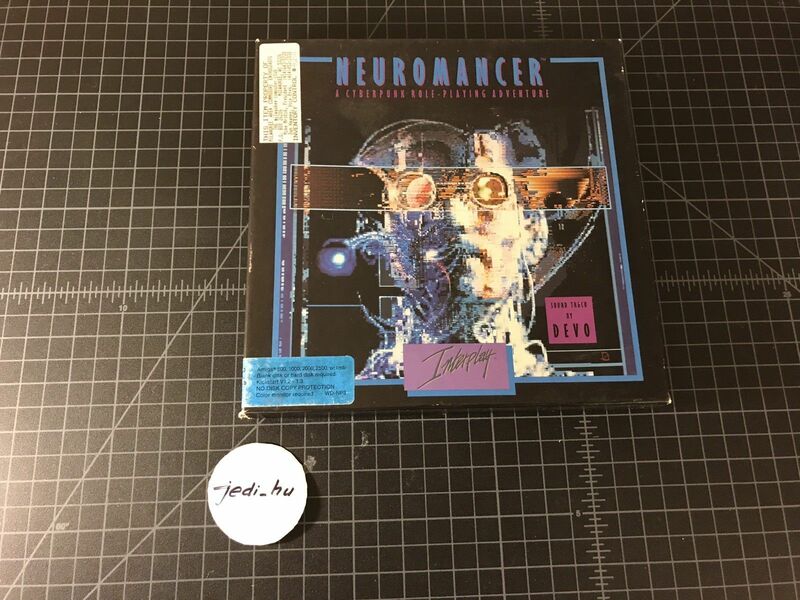 Seller ships to the Americas, Asia, European Union, Australia, and Switzerland. 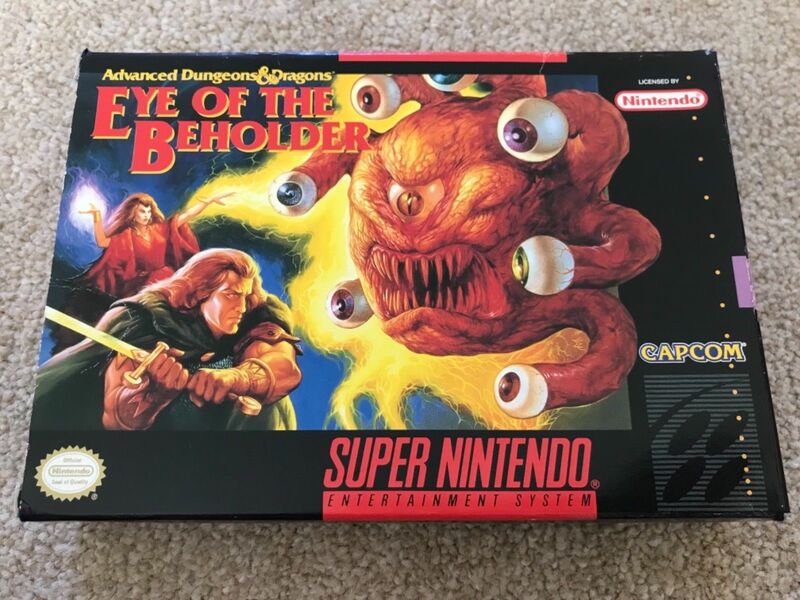 As traditional dungeon hacks aren't the most commonly available game on the SNES, and as SSI's Eye of the Beholder remains a truly classic RPG based on the Advanced Dungeons & Dragons ruleset, I'd say bidding on this Eye of the Beholder (SNES) eBay auction might be a good idea. Provided you enjoy your digital RPGs that is. The game comes in its original box, and should only run on NTSC SNES consoles. Seller ships worldwide. 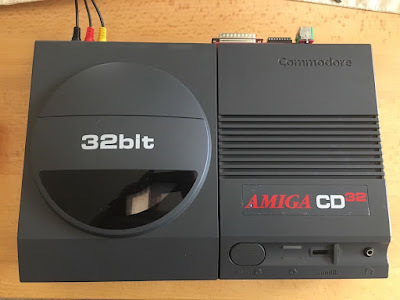 Commodore almost got it right with the Amiga CD32 console, but its neat, slightly upgraded console version of the A1200 was too little too late. 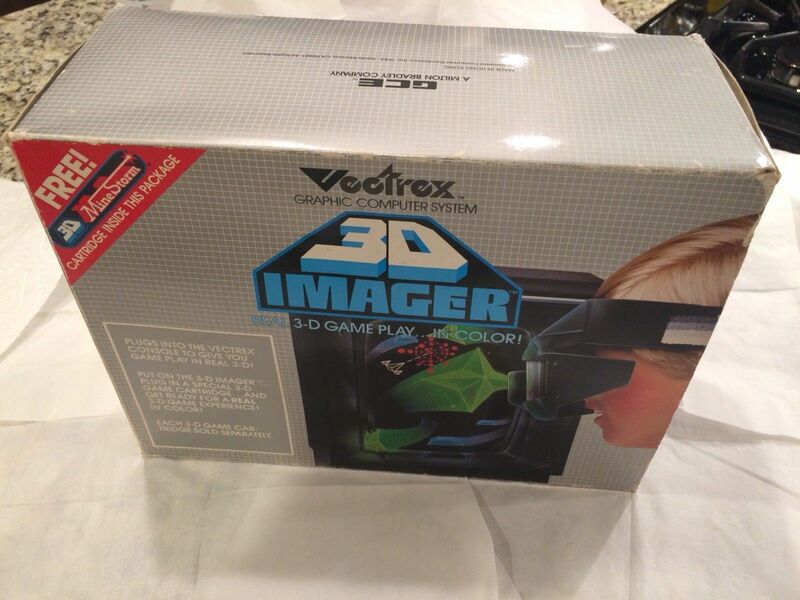 Being the first 32-bit CD-based console on the market just wasn't enough to turn the tide. 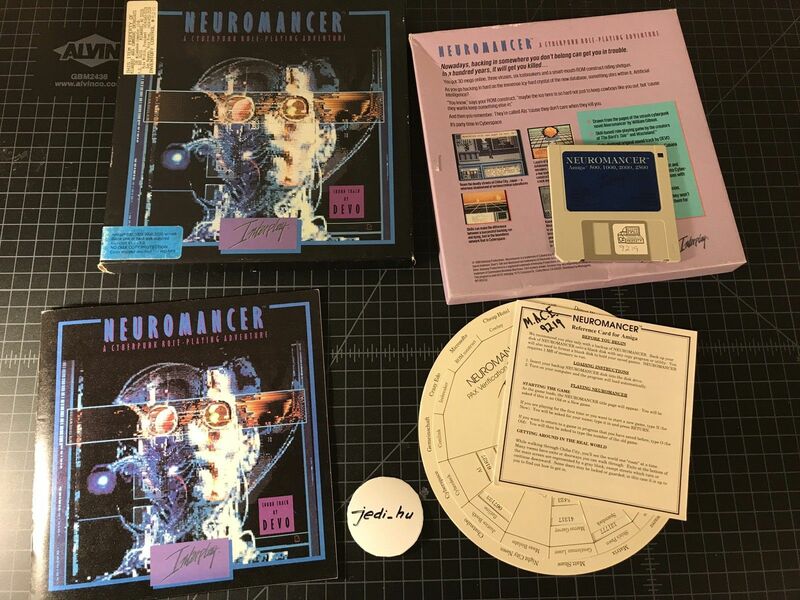 On the other hand this unique machine is a great thing to own and play, and this is a lovely Amiga CD32 eBay auction. 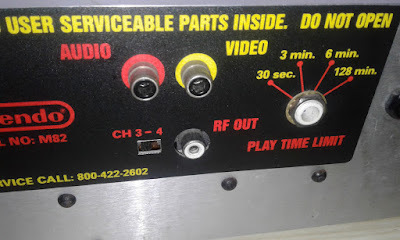 The console on offer comes with mouse, cables, PSU, the impressive Terrible Fire Expansion Module, and an 8GB CF card filled to the brim with software. 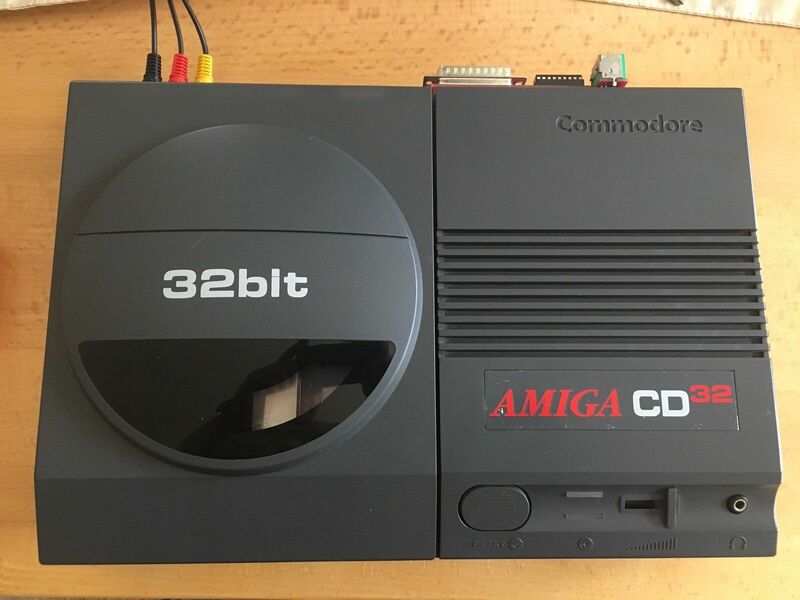 This Amiga CD32 seems to be in excellent condition, has been tested and is working. 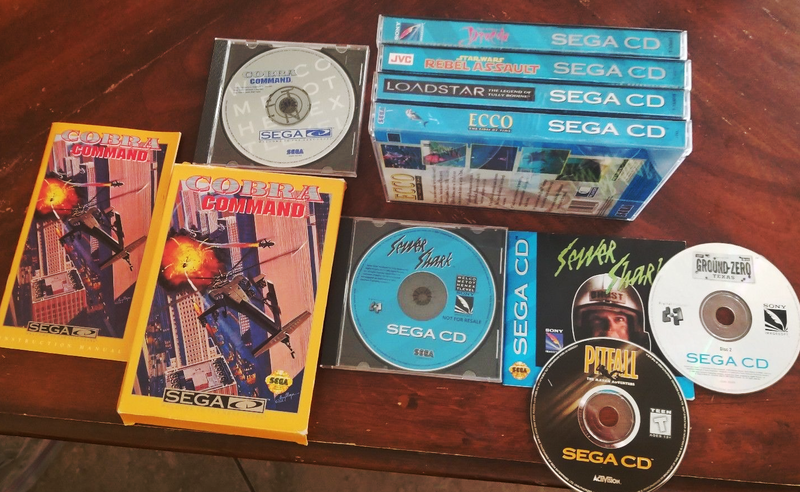 A nice collection of eight games for Sega's CD add-on to the 16-bit Genesis including Star Wars: Rebel Assault, Ecco, Pitfall, and Sewer Shark can be grabbed via this Sega CD games eBay auction. 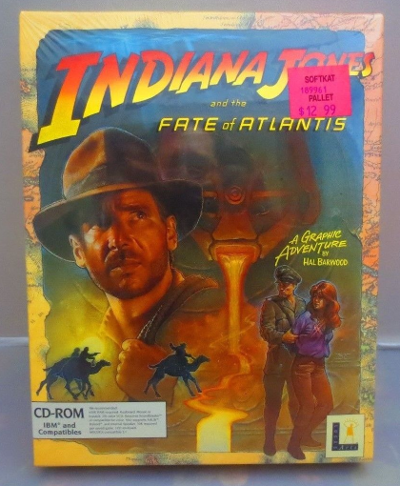 The games seem to be in good condition, and most of them come in their original packaging. 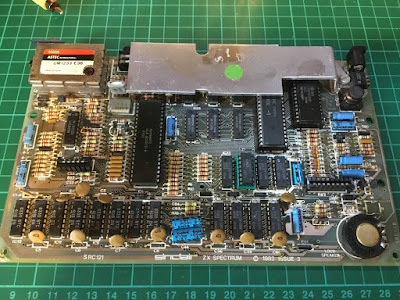 A fully working, fully tested motherboard of a 48K ZX Spectrum is always a handy thing to have around, and occasionally use with some sort of interesting keyboard/case combo. 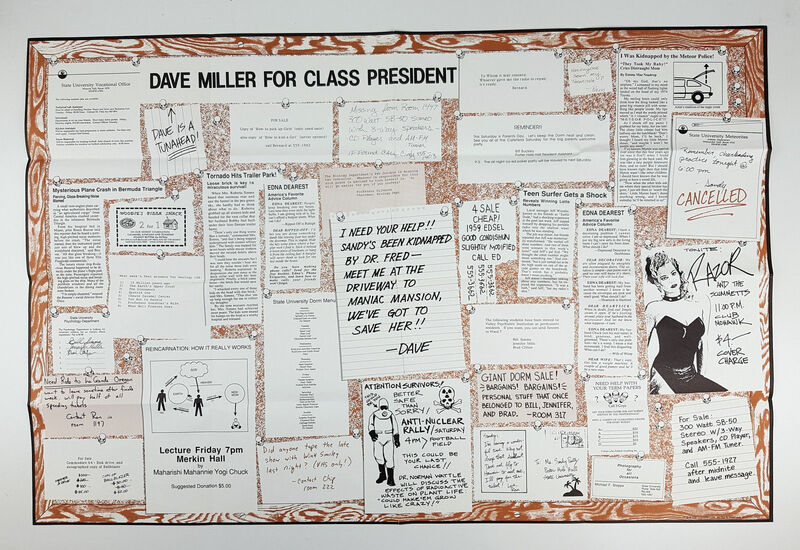 So, uhm, here's an issue 3 ZX Spectrum motherboard eBay auction in case you wanted one. It was manufactured in 1983. Seller ships in many places worldwide. 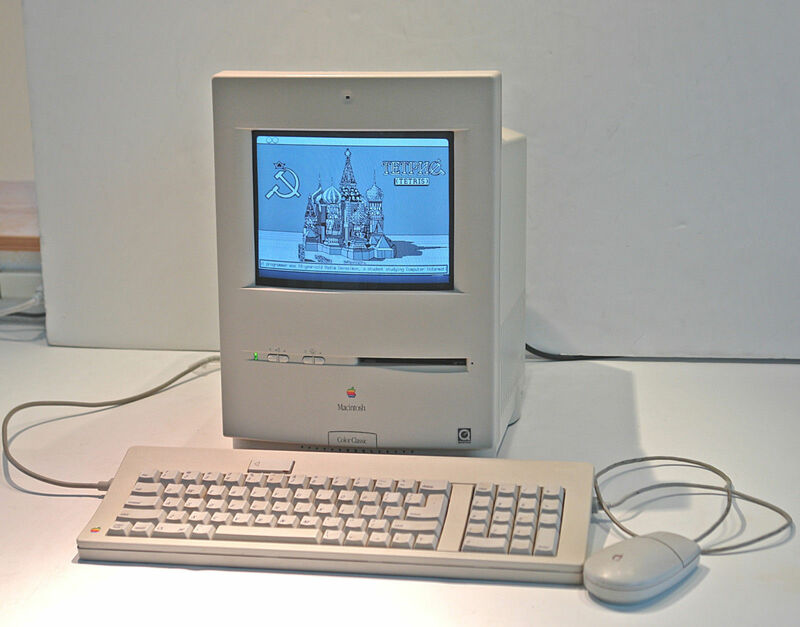 Released in 1993 Apple's Mac Color Classic was the first all-in-one Macintosh to sport a colour monitor. Quite obviously it was a beauty too. 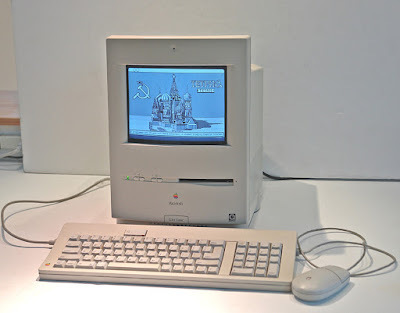 Bidding on this particualr Macintosh Color Classic eBay auction though will not only give you a chance of owning this lovely machine, but actually getting its upgraded, more powerful version. The computer on offer runs at 32Mhz, has a math co-processor, sports extra RAM and VRAM, and an 80MB hard disk. This Mac Color Classic has been tested and works fine, seems to be in great condition, and comes with keyboard, mouse, all required cables, and a storage bag. 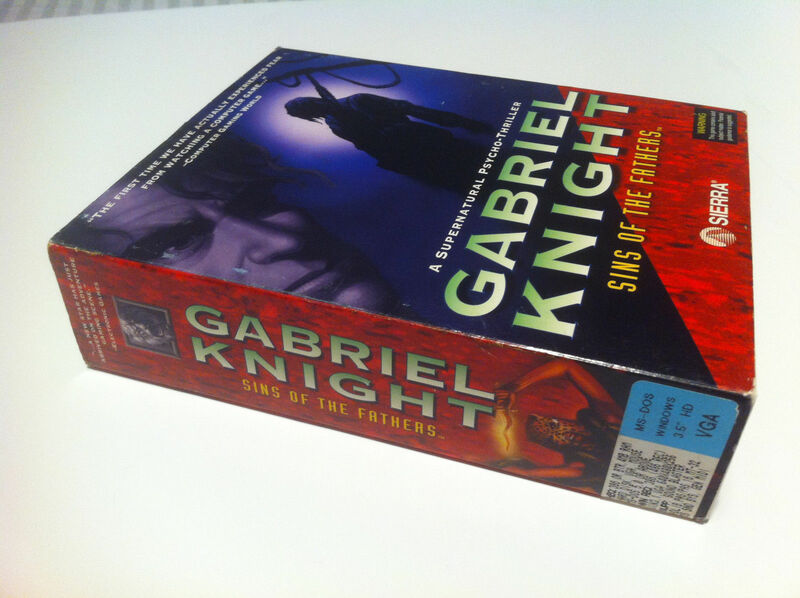 One of the best games ever released by Sierra, and a stunning, brilliantly designed supernatural adventure, the original Gabriel Knight is an absolute classics set in a convincingly atmospheric version of New Orleans. To own it complete in its original lavish box, and thus also get to enjoy the prequel comic book, along with all of the bundled goodies do give this Gabriel Knight (DOS) eBay auction a try. 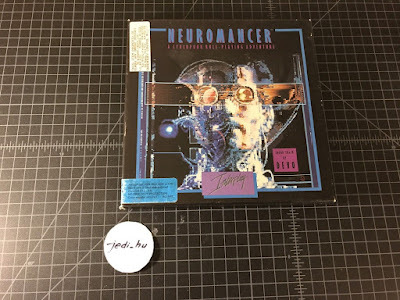 Keep in mind you'll be bidding on the 3,5" disk version of the game. 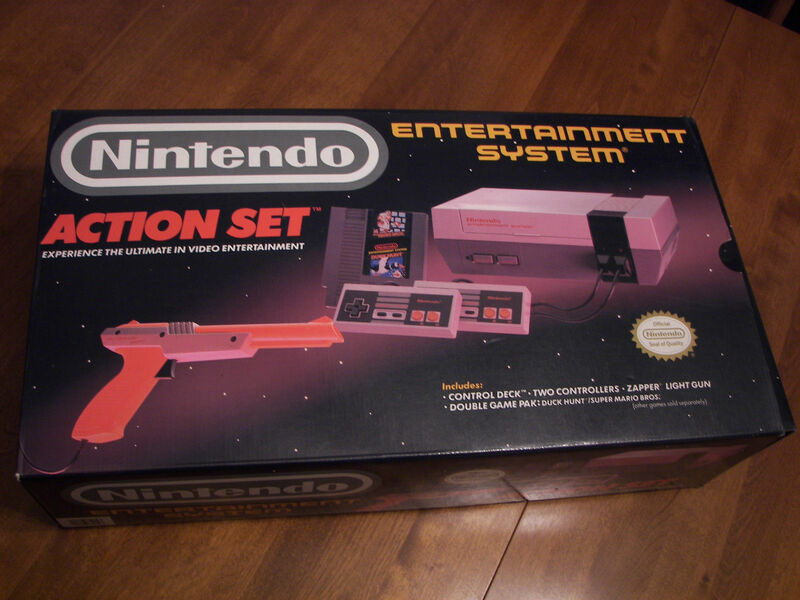 A finely preserved, complete in box, fully working Nintendo Entertainment System Action Set is a beautiful and pretty rare thing, and that's why bidding on this NES Action Set eBay auction might be a wise thing to do. 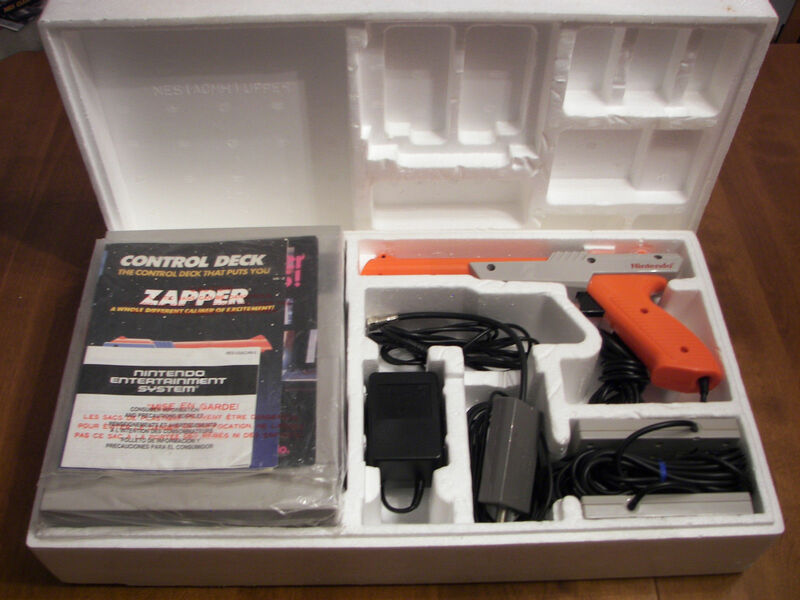 Especially if you are fond of Nintendo's classic 8-bit system, always wanted a Zapper, and care for Super Mario/Duck Hunt cartridges. The first proper point-and-click adventure, Lucasfilm's ground-breaking and actually wonderful Maniac Mansion also managed to find itself on the then ageing Apple II in one of its lesser known ports. 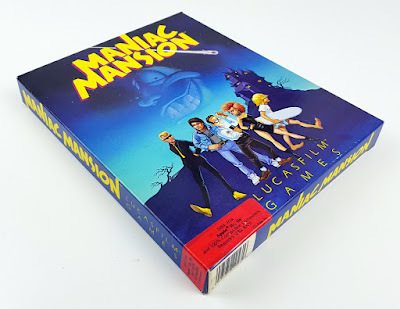 Grabbing said rather rare adventure is as easy as bidding on this Maniac Mansion (Apple II) eBay auction for a well preserved boxed copy of the thing. 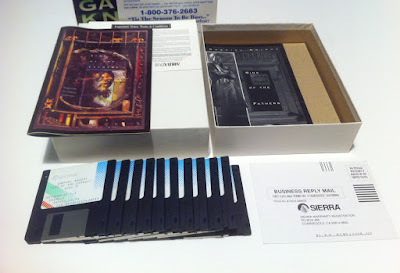 The game on offer comes with manual, disk, and poster in its original box. The Master System, Sega's 8-bit modestly popular gaming console, remains a great platform to play on, and also one of the few consoles I still keep playing on in this super-handy era of the Switch. 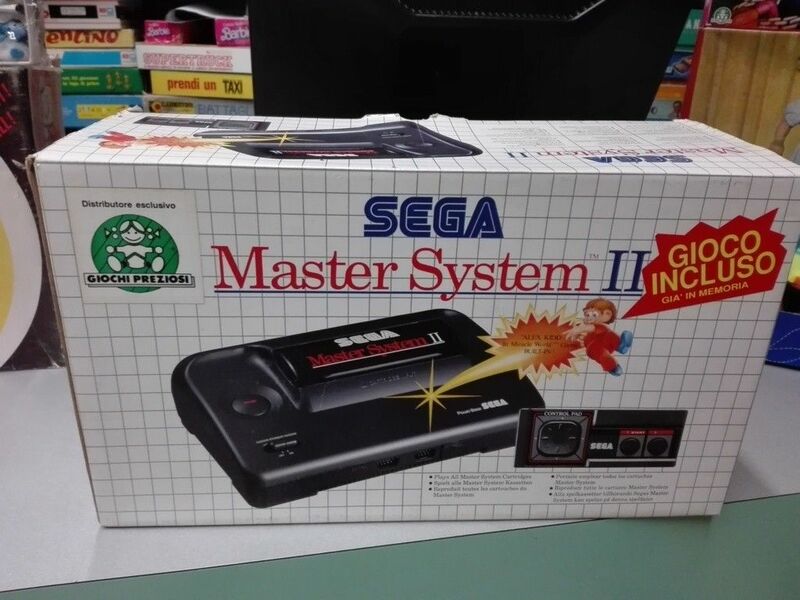 Anyway, here's a nice eBay auction for a boxed Sega Master System 2 complete with built-in game, controller, Sega catalogue, and power supply unit. 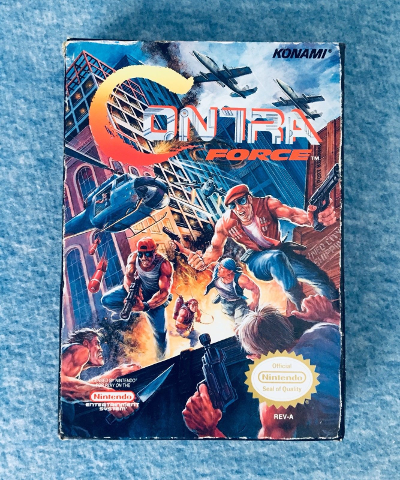 A highly sought after 8-bit offering Contra Force for the NES can be grabbed via this eBay auction. The NTSC cartridge on offer is in excellent condition, comes in its original decently preserved box, and still looks pretty lovely. 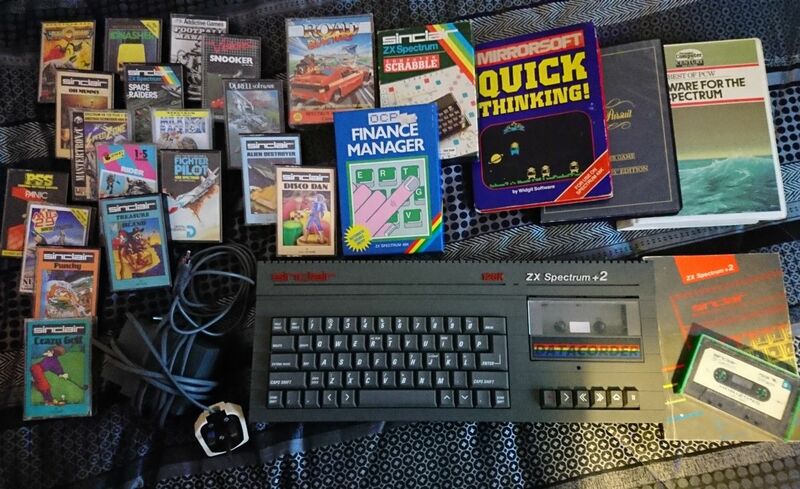 The sturdy, compact, game-focused Spectrum +2 by Amstrad remains a great way of enjoying those classic tape-based 8-bit games, and this ZX Spectrum +2 eBay auction is apparently a great chance for grabbing one. Shipping costs are truly sensible, the micro comes with PSU and RF leads and is fully working, the manual is included, and you'll also be getting a nice selection of games and software. A dark and atmospheric adventure game about humanity's capability for evil and redemption, I Have No Mouth And I Must Scream by Cyberdreams was based on Harlan Ellison's story of the same name, and has evolved into a cult classic. 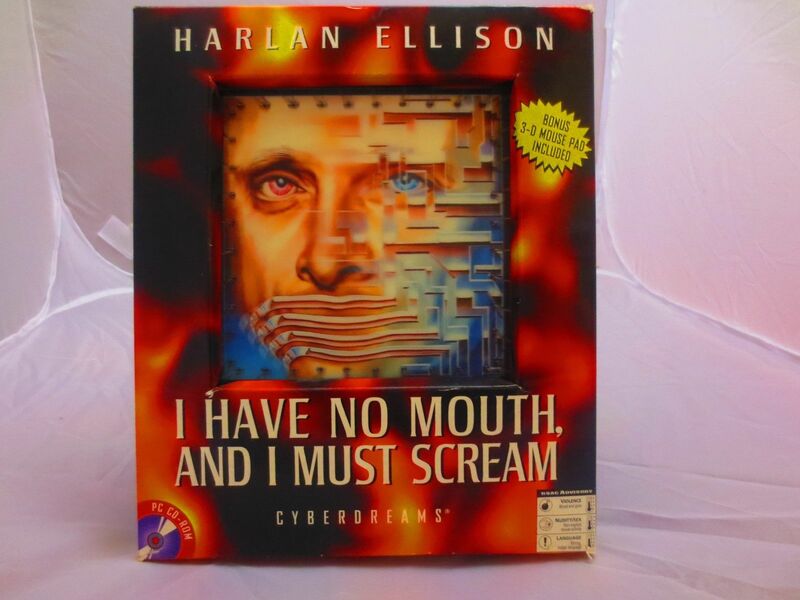 Oh, and you can of course bid on a complete boxed copy of the game with CD, mouse-mat, manual, flyers, and everything via this I Have No Mouth And I Must Scream (PC) eBay auction. 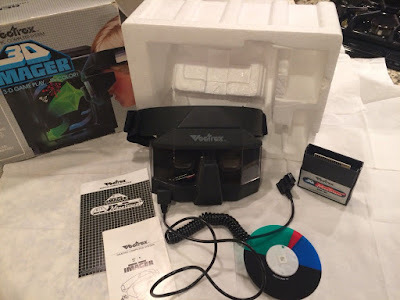 The 3DO console was a bold experiment indeed. It never really caught on, but it did usher in a new era, and was the home of some excellent games. 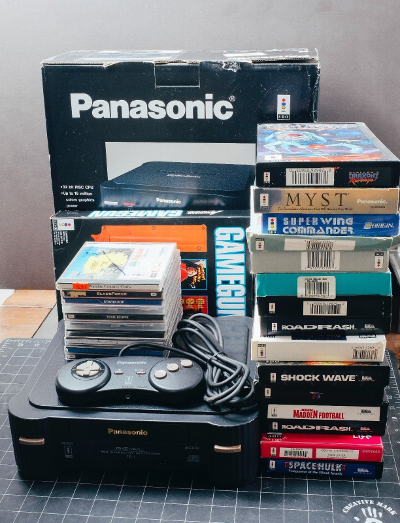 Some of the best have been bundled with a console and put up for sale via this impressive Panasonic 3DO eBay auction. The FZ-1 on offer comes with a controller, a light-gun, and an excellent selection of software. Almost everything is boxed. As for the bundled games, these include Road Rash, DOOM, Space Hulk, Super Wing Commander, Cyberia, Stellar 7, Myst, Night Trap, Samurai Showdown, and the first two Alone In The Dark installments. 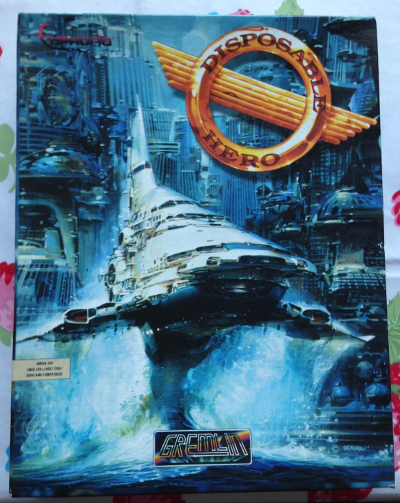 Looking for a great looking horizontal 16-bit shmup that comes in a truly stunning box? Well, this Disposable Hero (Amiga) eBay auction should be of interest then. 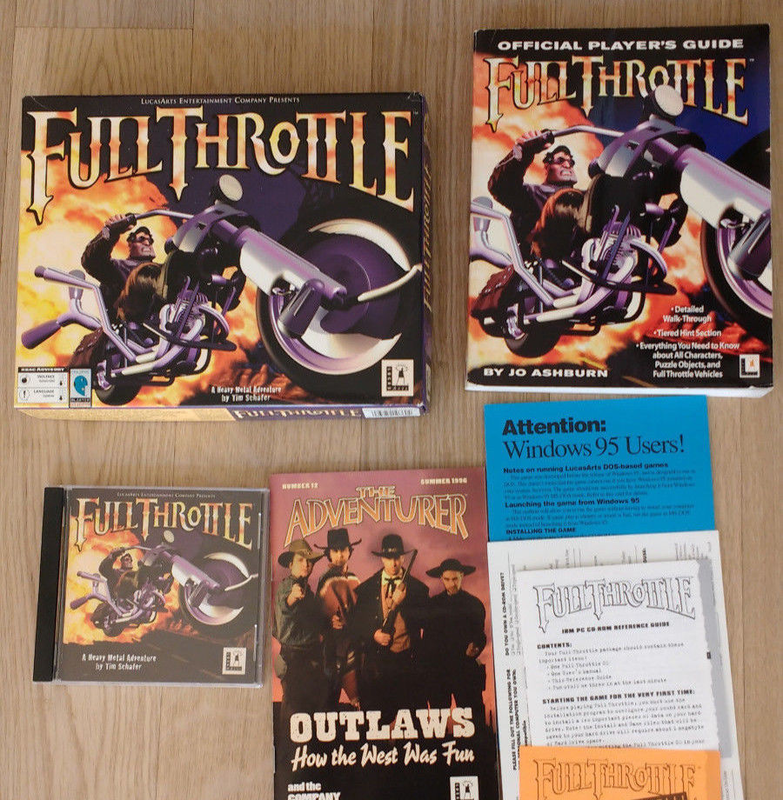 The classic Amiga shoot-'em-up on offer comes in its box with disks, manual, and copy-protection wheel. 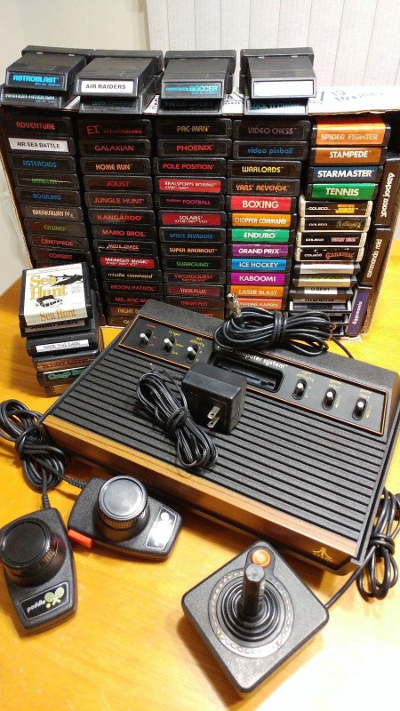 The console that started it all, Atari's classic VCS, can be yours via this impressive Atari 2600 eBay auction. 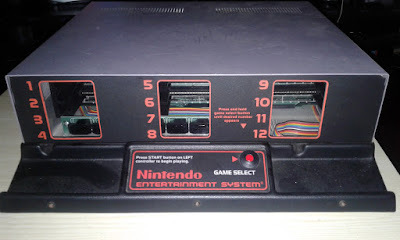 The six-switch console on offer has been tested, is working properly, and comes bundled with a joystick, a set of paddles, power supply, one RF to COAX adapter that will let you use the machine with modern TVs, and over 80 game cartridges. The games accompanying the system include such classics as Star Wars: The Empire Strikes Back, Adventure, Frogger, Pitfall, Warlords, Space Invaders, Mario Bros, E.T., Joust, Defender, Asteroids, Berzerk, Kaboom!, Planet Patrol, Donkey Kong Jr., Keystone Kapers, Demon Attack, and Yars' Revenge. Slightly surreal but clever and occasionally impressive Star Wars themed platformer Super Star Wars is rightfully considered one of the best 16-bit games based on the original trilogy. 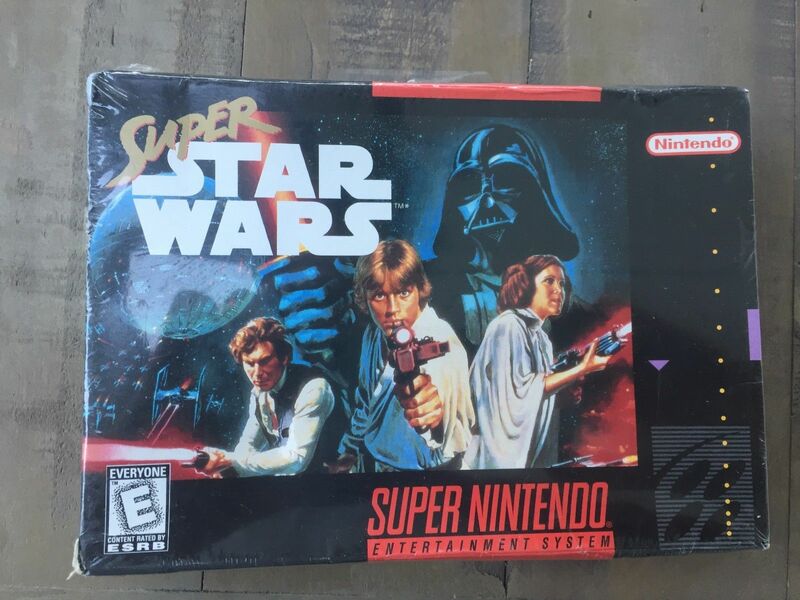 To grab a complete-in-box, sealed, NTSC version of it you could do much worse than bid on this Super Star Wars (SNES) eBay auction. 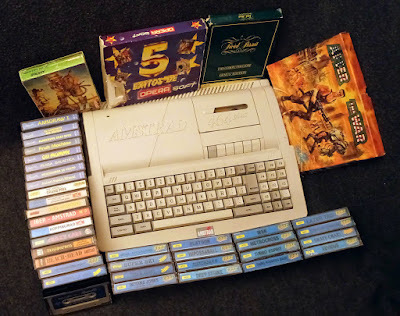 The definitive C64 upgrade, Commodore's classic and impressively bulky 1541 disk drive, truly unlocked the potential of the micro, and allowed for some impressive games to be loaded off its spacious 5.25" disks. 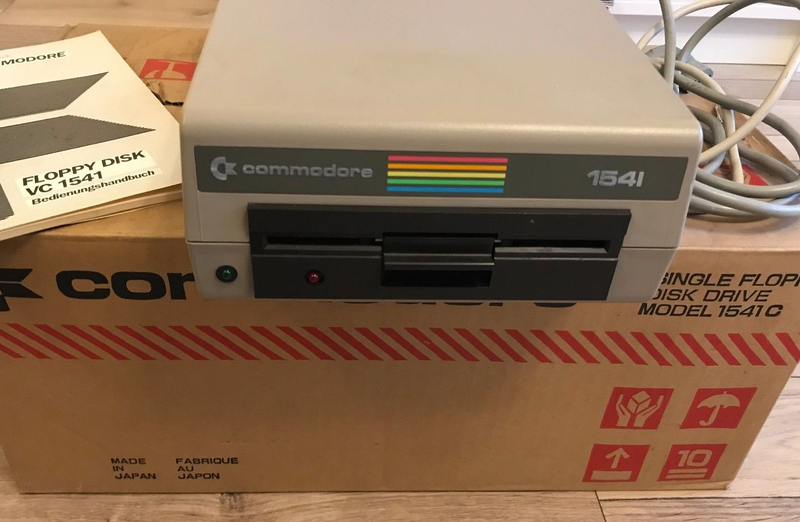 To grab one complete with cables and manual (in German) you could have a look at this Commodore 1541 eBay auction. Seller ships only within Europe. 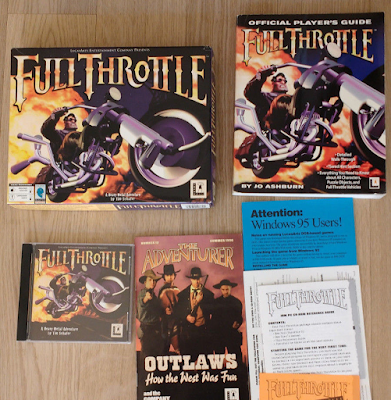 Audio-visually impressive and innovative as it may have been, Lucasarts' biker-themed adventure game Full Throttle relied a bit too heavily on mini games, and was definitely on the shorter side. Still, it's a classic and highly collectible game, and genre lovers should have a look at this Full Throttle (MS-DOS) eBay auction. It's the big box version, and it seems to be in great condition. 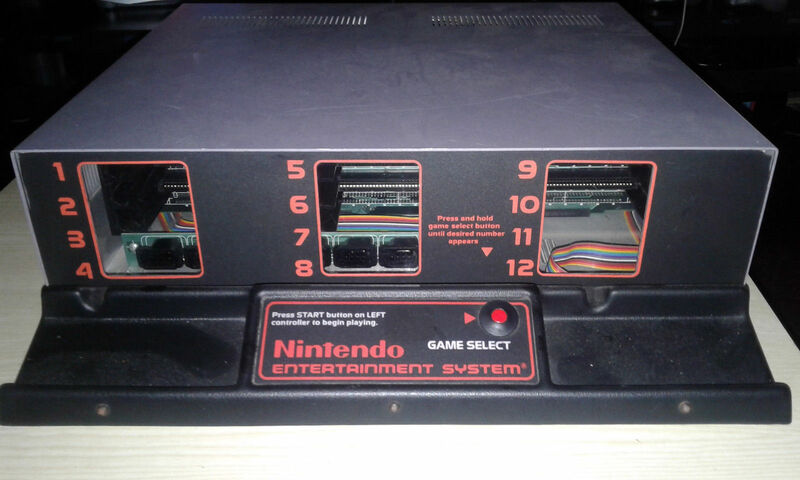 The NES M82 Demo / Display Unit --the PAL demo station stores used to showcase Nintendo's 8-bit games in Europe-- is a very rare contraption that lets you plug in up to 12 NES cartridges. To own a fully working unit look no further than this NES M82 eBay auction. Carrier Command was a groundbreaking, open-world, 3D, real-time strategy game with some excellently integrated action scenes that had you trying to capture/liberate an archipelago. 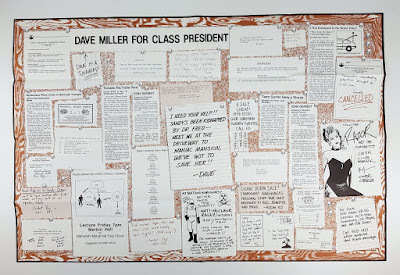 It was clever, unique, impressively designed, and apparently also available for the Macintosh. 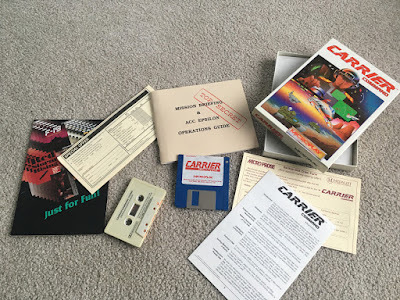 This Carrier Command (Mac) eBay auction is how I found out, and it will let you grab the complete, boxed version of the game with audio tape, manual, and everything. 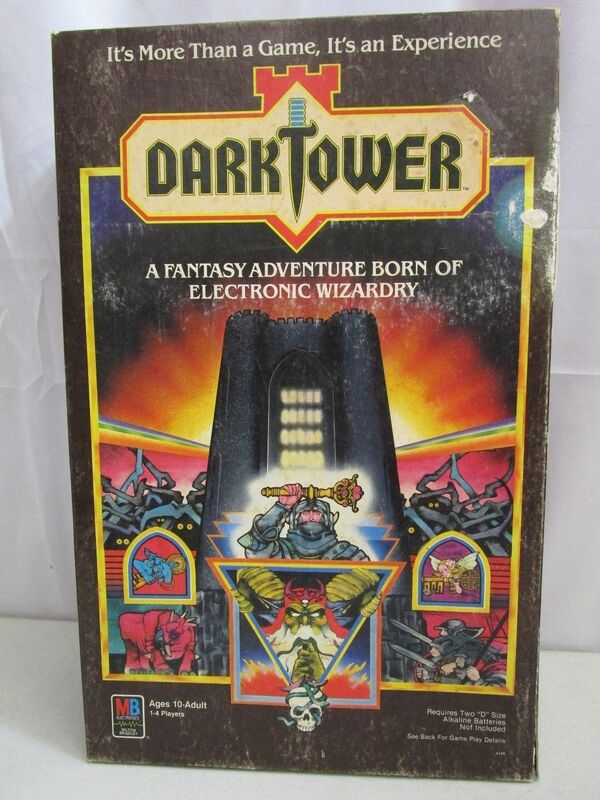 I haven't mentioned vintage board games in ages, so here's a mouth-watering Dark Tower auction on eBay. 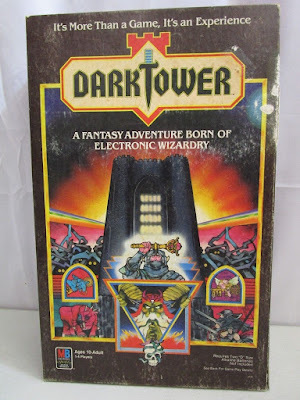 It's a fully working, complete, boxed version of MB's RPG-inspired fantasy game, and though not the best designed offering ever, the titular, digital Dark Tower still looks awesome. 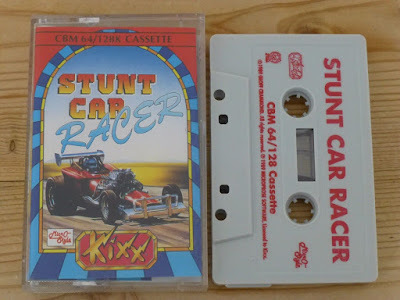 Stunt Car Racer remains to this very day an utterly unique, and --I would argue-- unsurpassed racing game, and even though its 8-bit versions are not as impressive as the amazing 16-bit ones, they are still both ridiculously fun to play, and technically impressive. So, if you are looking to race and jump around those elevated 3D tracks once again do give this Stunt Car Racer (C64) eBay auction a look. It's the Kixx budget re-relesae and it comes on tape. Combining a decent (but decidedly failed) 8-bit console with an improved CPC 464 under the same sleek-for-the-time hood, the Amstrad 464 Plus was a lovely, well-priced micro that along with the 6128 Plus helped prolong the life of Amstrad's classic line well into the '90s. This particular 464 Plus currently being auctioned on eBay is a Spanish working version of the machine that comes with the Burnin' Rubber / BASIC cartridge, as well as several other mostly boxed yet untested games including Match Day II, Xevious, Oh Mummy, and Beach-Head. 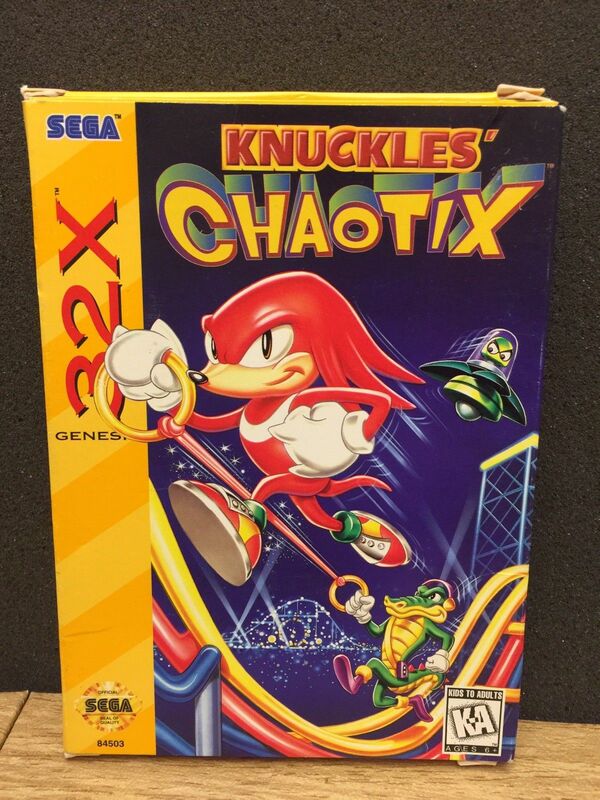 If you are looking for a solid, relatively rare, well preserved side-scroller for your Sega 32X, you should definitely have a look at this Knuckles Chaotix (32X) eBay auction. The game on offer comes complete in its original box with cartridge, manual, insert and what seems to be like a warranty card. Seller ships to many places worldwide. Oh, and happy 2018!